The popular reaction was interesting. It was as if the Pope was introducing some new teaching that was completely at odds with what people assume to be the Christian position on such matters. In fact, Pope Francis stands in a long line of Christian teachers from the early centuries of Christianity who were quite universalist in their perspective. Teachers like Origen, St. Gregory of Nyssa, St. Isaac of Nineveh, and St. Justin Martyr were among them. They worked this out theologically in somewhat different ways, of course, and they all believed that universal salvation was made possible by God in Christ (the position which Pope Francis also took in his homily). For most if not all of them, their belief in universal salvation was rooted in their appreciation of the depth and breadth of God’s love for all people. Certainly, there are New Testament texts that could be cited against this view, but there are also texts that can be cited in support of this view (John 3:17, 1 Cor. 15:22, 1 Cor. 15:28, Romans 5:18, Romans 11:32, Phil. 2:9-10, Rev. 5:13 to name a few). As in most things, the Bible rarely decides a matter: it simply provides grist for the mill as we seek to deepen our relationship with the mystery of God and understand the implications of that mystery. The reaction to Pope Francis’s homily uncovers something important: the degree to which most people think that religion in general, and Christianity in particular, is about some form of “getting to heaven.” For those who regard their Christian faith as a passport to heaven and eternal life over against those poor non-Christians who will be going to hell, introducing the ideal of universal salvation — even a universal salvation which depends somehow on Christ — seems to make their whole religious endeavor meaningless. If everyone is “saved”, then what’s the point? It ends the idea of Christianity as an exclusive, heaven-bound club and replaces it with…..what? Well, it replaces it with a more mature understanding of religion. Christianity, in common with the other great religious traditions of the world, seeks to bring about a transformation of the human being. At the heart of the Christian tradition is a conviction that we get a great deal wrong about what it means to be human. Christ is given to us not as a get out of hell free card but rather as a gift to show us what it looks like to live as a human being rooted and centered in God. God shines through Christ, and we are meant to reflect that divine light, as well. The point of the Christian life is not to get a free ticket into heaven, but to give birth to heaven within and among us as we know ourselves to be safe in the deep beloved-ness of God. If we can embrace this kind of Christianity, a Christianity that preaches the universal movement of God’s love toward all, then we can let go of our need to judge others, and, indeed, let go of our own need to appear holier-than-thou. At the same time, however, if we do let go of these things and our idea that Christianity is simply about getting to heaven, then we have to get down to the serious work of allowing ourselves to be changed, to becoming the kind of God-filled human being that we see in Jesus. And that is hard work. And maybe that’s why people are really upset with the Pope, because they don’t really want to have to work that hard on themselves. On this Ascension Day (May 9 this year), it so happened that I found myself spending an hour at a local private school as part of an interfaith panel. It was my task to represent the Christian tradition (which, as I explained to the students, is an impossibility given the breadth and complexity of that tradition). I was joined by a rabbi and a Buddhist priest. It is a forum I have participated in before, and the young people (all high school freshmen) have wonderful questions – far more than we could possibly answer in the time provided us. As the three of us spoke and answered some of their questions, it became quite clear to me how much the three of us — Jew, Christian, and Buddhist — really do have in common. And how we were able to acknowledge that to the students. As the Buddhist priest talked about her meditation practice and why she finds it valuable, for example, she was careful to explain that Buddhism wasn’t the only religious tradition that valued meditation — that it was possible to find a meditative tradition in all the world’s great religions. After I had told the students that I thought a common misconception of Christianity was that it was more about belief than practice, and that I thought it really should be seen as a way of life rather than a set of doctrines, the rabbi was able to say that he felt the same way about Judaism. The three of us represented different traditions, but we were remarkably on the same page with respect to how our religious orientation impacts our lives and the lives of the people we know and serve. I found it refreshing to occupy a space in which religions were not placed in opposition to each other, and I was pleased to be able to be in that space with these young people. It reminded me about how so much of our public religious conversation is rancorous, how often those appointed to speak for religion in the media do not make an effort to bring out the shared qualities of our traditions, and often, work hard to exacerbate the differences. There has perhaps been no other time in human history when we are so in need of a raised or ascended consciousness with respect to religion and spirituality. To the degree that religion in general, and Christianity in particular, have a negative public image, it is in large part due to the way in which so many people make religion divisive. An ascended consciousness would focus not on our differences but on the very real ways in which the various religious traditions function in similar ways to root people in a sense of sacred connection and open up possibilities of inner transformation that are not only good for individuals, but good for the communities those individuals inhabit. Traditionally, Ascension Day commemorates the end of the post-Ressurection appearances of Jesus to his followers by telling the story of his ascent, bodily, into heaven (technically, the story does not say he ascends into heaven — it actually says that he rose up off the ground and entered into a cloud, so that he could no longer be seen). But I think the story is meant to have a more profound meaning than that. For me, the Ascension represents the end of a “local” Christ and the beginning of a cosmic Christ. 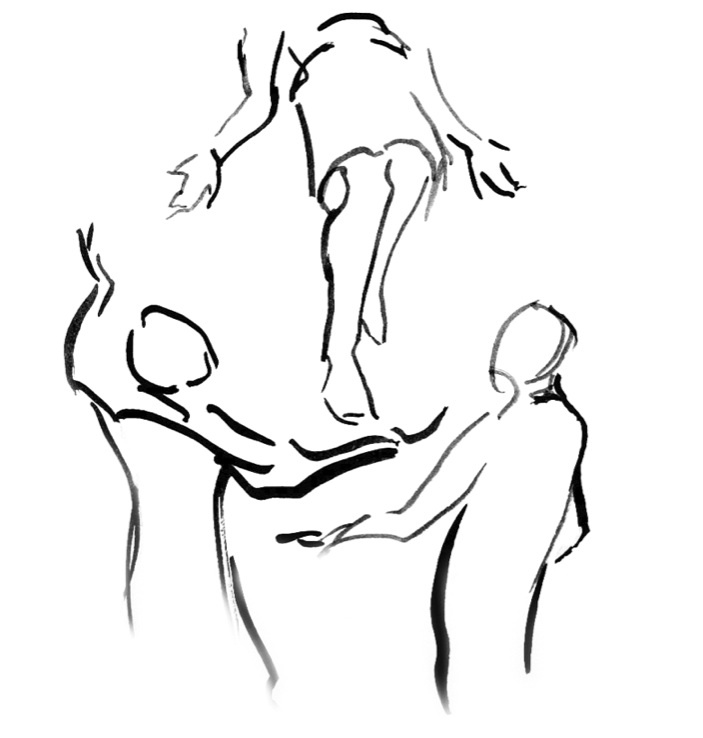 The Ascension marks that last time that anyone saw the Risen Christ appearing in anything like a human form. 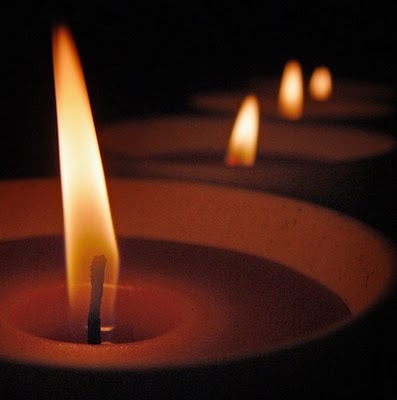 Ever since, the spirit and consciousness of Christ has been available through prayer, sacraments, and other spiritual practices that do not depend on one being at a particular place at a particular time. In other words, the Ascension means that Christ becomes available to all. My participation in today’s interfaith conversation reminded me that the Spirit that I experience in Christ is the Spirit of a God who has made God’s self known under many different names, in the context of many different traditions. For me, this particular Ascension Day is a day for remembering that God is available to all, not just to the Christians. If more of us could live in that ascended consciousness, we might be able to do much more to help the religious traditions to be seen for the powerful, transformative paths that they are. 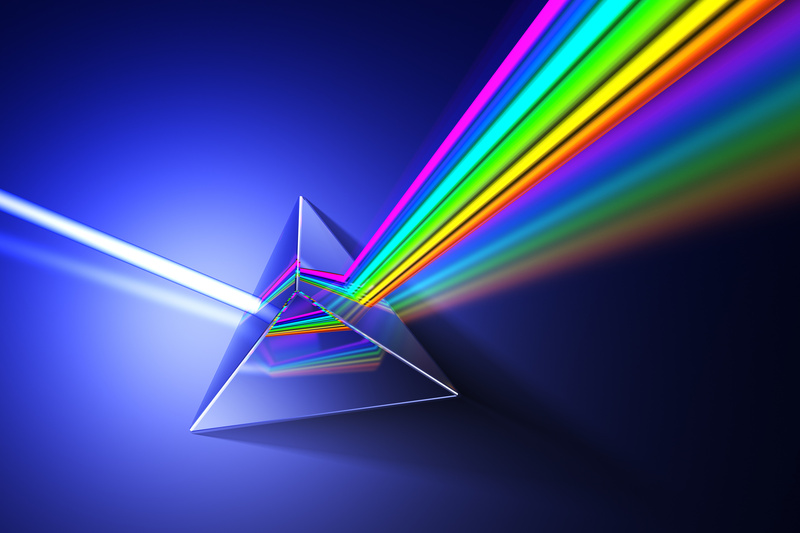 Just like a prism that refracts white (really invisible) light into seven colors, the Torah itself refracts the unknowable and invisible truth into a rainbow of possibilities. It is this rainbow lens that I see when I look into the . . . Five Books of Moses . . . .
And this, I think, is not only the way in which the Torah works, but the way in which the whole of the Bible works. The texts do not invite us to one interpretation, but instead invite us into an exploration — a spiritual journey — that requires us to synthesize in a creative way the texts, our cultural context, our inherited tradition, and our personal experiences into a fresh appreciation of divine truth. How that synthesis happens depends just as much on who we are and what we bring as it does on the text itself. We trust that the Spirit weaves its way into that process, but we cannot be entirely certain about where the Spirit is showing up and where our limitedness as human beings is showing up. 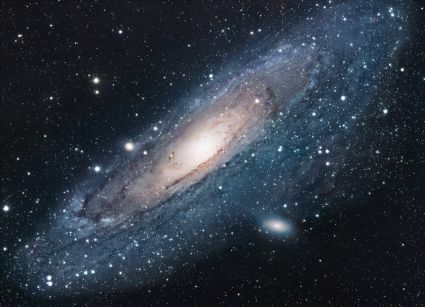 Just as physicists have discovered that the observer of a phenomenon is also a participant in it and can influence what is observed, so are those who delve into the Bible not merely readers but participants in that which is being read — and that participation influences which color or colors of the rainbow of possibilities the reader will see. Very many people carry with them the rather romantic idea that it would be just wonderful to find the one, true meaning of the Bible and be done with it. But the reality is that this is a relatively recent notion when it comes to the reading of sacred texts. Earlier generations of humans recognized something that we often miss, which is that stories work best when they are allowed to carry a variety of meanings, including those that no one has yet thought of. The stories of the Bible were written very much from this perspective, and, indeed, the versions we now have of those stories have been edited considerably from their original forms. We now forbid the editing of these texts, but for centuries, there was no such taboo. And, as such, stories were recast to encourage certain meanings to recede and others to come forward. While we may no longer be editing the biblical stories, we should be engaging them with the same creativity as those ancient editors did, for this is how the texts truly come alive and function as the Word of God: when they are brought into a lively dialogue with the God we have come to know in our hearts, with the selves that have been formed in our particular time and place. For only through such a creative engagement can we truly move along in our spiritual journeys. As the theologian James Alison points out, there is no such thing as timeless truth, because there is no such thing as timeless people. We live embedded in time, God is revealed to us in time, and, thus, as time moves, so does our orientation to the biblical prism, and this allows us — requires us! — to discover colors in the texts that we never realized were there before.